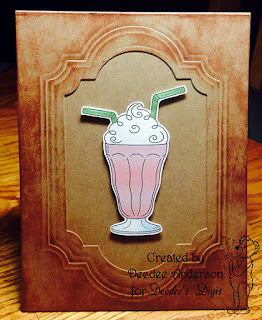 Outlawz CAS Challenge wants to see a card representing your favorite beverage! Just remember to keep your card Clean & Simple. Which is not always an easy task for me. But I managed to do it and like the end results! Deedee, Marji and I all used images from the Drink It Up digi stamp but we each used different images! What a bargain to be able to make 3 different cards from one digital stamp. If you want to see details about how we made our cards click on our names. 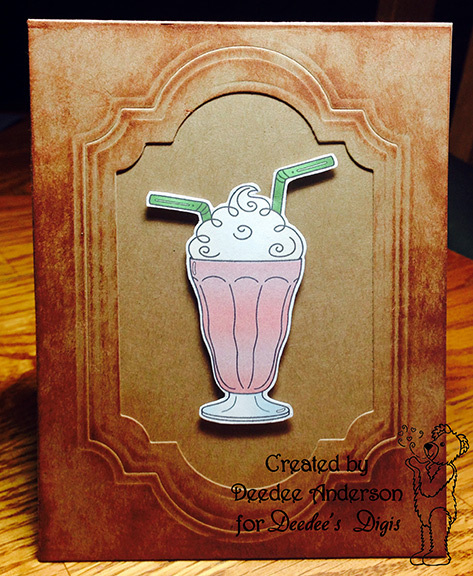 Hope you can make a fun card about your favorite beverage! Thanks for playing along with us at the Outlawz CAS challenge. 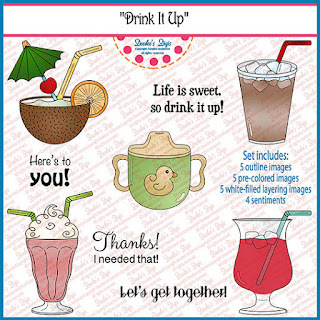 We love having you as a sponsor and creating cards with us.Such fun images to use. Have a great week! Just Monkeying Around at the Beach!